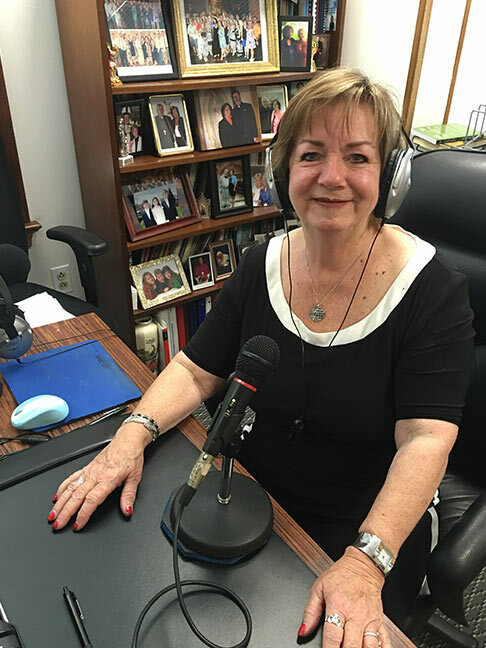 Kathleen McCarthy is a published author, Catholic radio broadcaster and has been a Catholic lay evangelist for more than 40 years. Her message of the Father’s merciful love, the Real Presence in the Holy Eucharist and the power of the Holy Spirit are central doctrines of the Catholic Church. Kathleen has been involved in healing ministry for over four decades. She shares, through her gift of storytelling and prayer, the fire of God’s love and healing through His Word and His Eucharistic Heart of Mercy. Kathleen has traveled across the United States and internationally, most recently to Canada, Fatima, Venezuela, France, the Dominican Republic and other global communities. Countless stories of healings have taken place through the power of the Holy Spirit when she uses these gifts as a conference speaker, retreat master, television guest, at parish renewal days, and so much more. The fire of the Holy Spirit emanates through her in every aspect of her ministry. She has the gift of storytelling that touches the hearts of all individuals. Her willingness to share her faith and wisdom has established her as a dynamic instrument for proclaiming God’s Word to both believers and inactive Catholics of all ages. Kathleen has experienced the death of a husband, loss of a house through fire, personal and family illness and loss. Through it all, her uncompromising love of God and faith in His love for her has been her source of strength in weakness and her light in darkness. She is a gifted speaker who shares with enthusiasm and motivates many hearts to experience the living God.